Explosion near Istanbul stadium kills 13, injures dozens more. 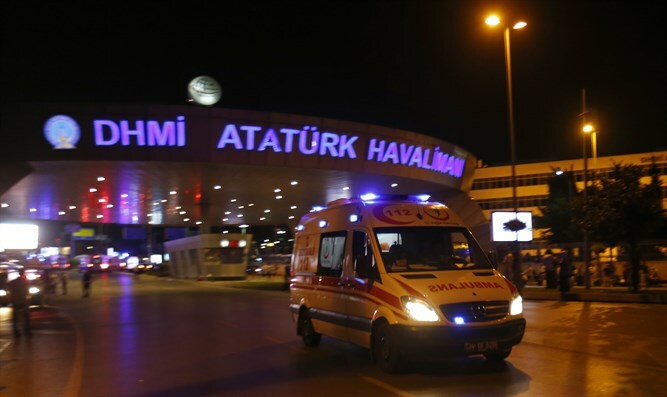 At least one explosion was heard outside the Besiktas sports stadium in Istanbul, Turkish Interior Minister Süleyman Soylu said on Saturday night. Initial reports mentioned two explosions, which were then followed by gunshots. Other reports say the explosion was actually a car bomb. The explosion, which occurred immediately after a football match, killed 13 people, injured dozens of others, and set the stadium on fire. Reports say the explosion may have been an attack on riot police. Police have closed off the area. Turkey's Radio and Television Supreme Council has issued a gag order on the subject.